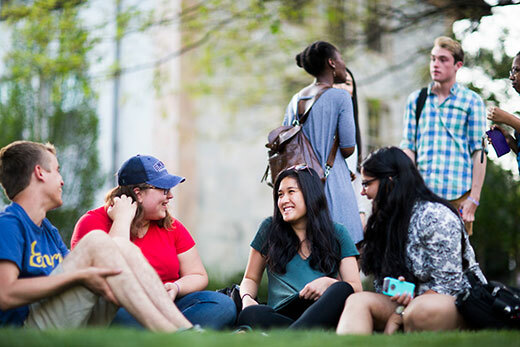 The Office of Emory University President Claire E. Sterk has announced a new series, “Conversations on the Quad,” which will debut Thursday, April 5, from 10 a.m. to 4 p.m. on the Quadrangle. All students, faculty and staff are welcome to drop by at any time during the event, which will include a welcome from the president at noon and a keynote “conversation starter” delivered by Robert M. Franklin, the James T. and Berta R. Laney Professor in Moral Leadership. The inaugural event’s theme is “Building a Culture of Innovation at Emory,” designed to invite the campus community “to think about what it means for Emory to have a vibrant culture of innovation, to explore what it takes to support such a culture, and to think about how innovation can be a catalyst to promote interdisciplinary engagement,” Sterk says. Designed as an updated take on the traditional “Classroom on the Quad” concept, these events will pair free-form conversations around designated themes with ongoing social media engagement. To promote conversation, more than 150 Adirondack chairs will be set out in small groupings with light refreshments and “conversation starter” materials, including books, articles and quotations around a particular theme.